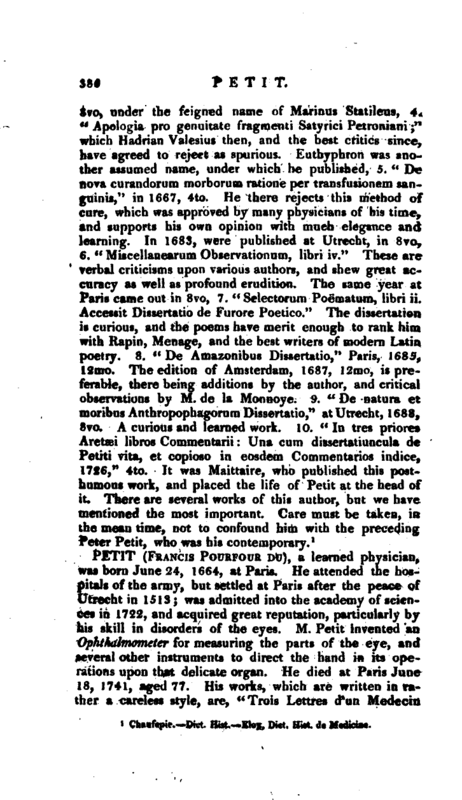 , another very learned Frenchman, was born at Paris in 1617, and brought up to the profession of physic, in which faculty he took a doctor’s degree at Montpeliier: but, afterwards returning to Paris, neglected the practice of it, and gave himself up entirely to the study of polite literature. He lived some time with the first president Lamoignon, as preceptor to his sons; and afterwards with mons. 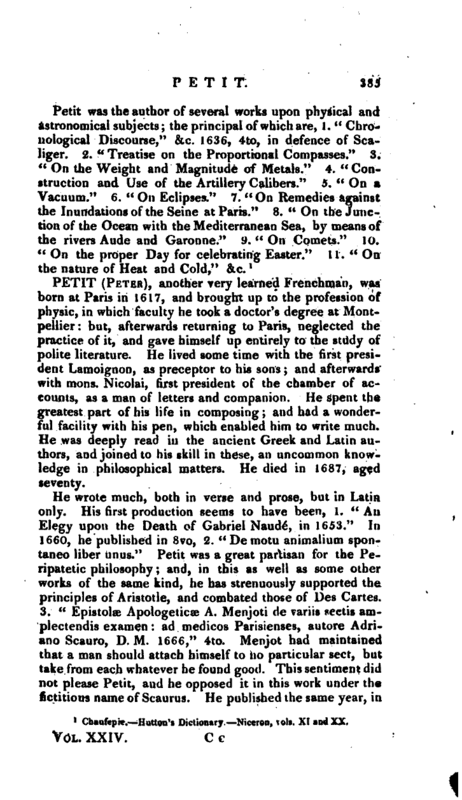 Nicolai, first president of the chamber of accounts, as a man of letters and companion. He spent the greatest part of his life in composing; and had a wonderful facility with his pen, which enabled him to write much. He was deeply read in the ancient Greek and Latin authors, and joined to his skill in these, an uncommon knowledge in philosophical matters. He died in 1687, aged seventy. Chaufepie.—Dict. Hist.—Eloy, —Dict. Hist. de Medicine.